Admissions in KIU Female Hostels for the year 2018 are hereby announced on limited seats at M.Phill level. Admissions are made following the prescribed criteria on merit base. 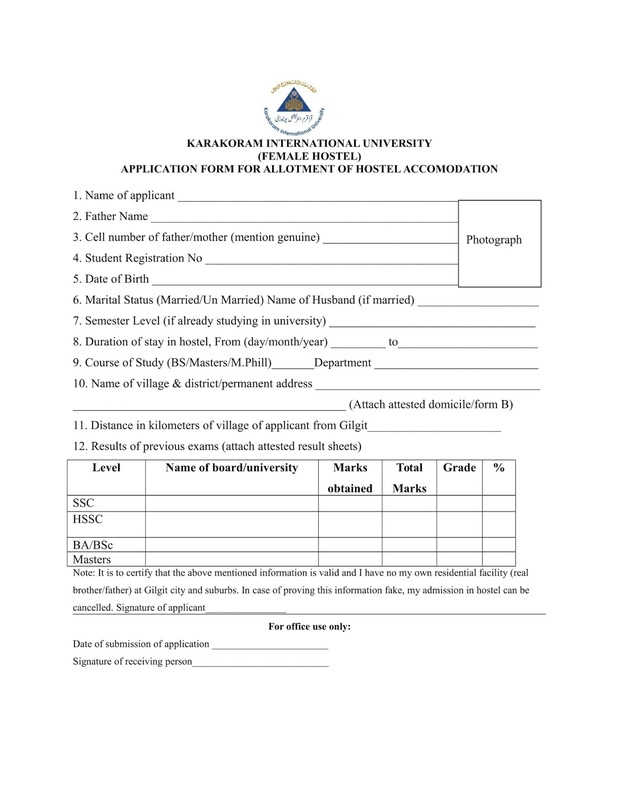 · Duly filled application form (Forms are available at girls’ hostel gate No 1, admission office KIU and website, www.kiu.edu.pk). · Attested domicile /Form B/ National ID card. Students can visit hostel and submit forms during official timings 10: 00 AM to 3:00 PM Monday to Friday. The last date to submit the application is 16th March 2018. Note: Those applied last year need to apply afresh.